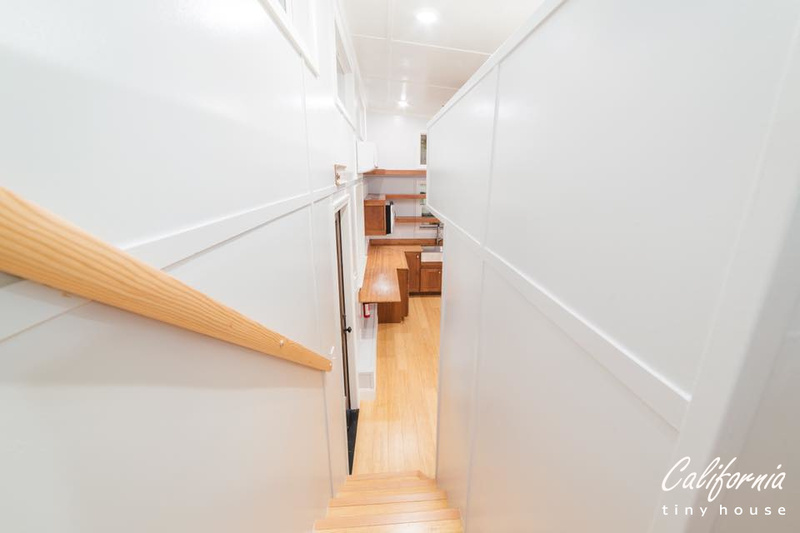 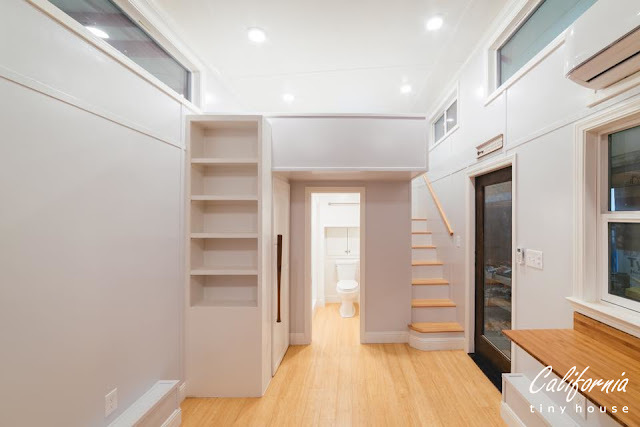 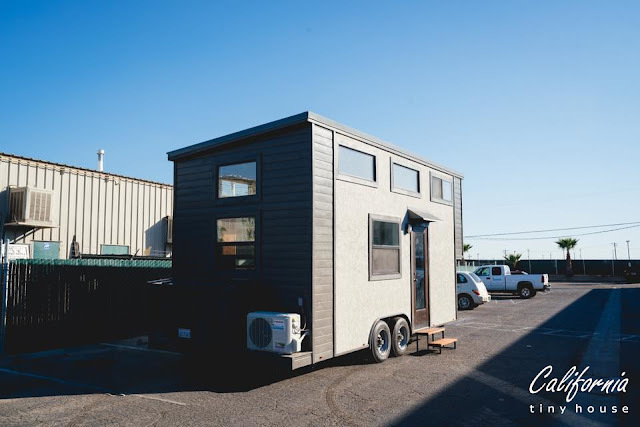 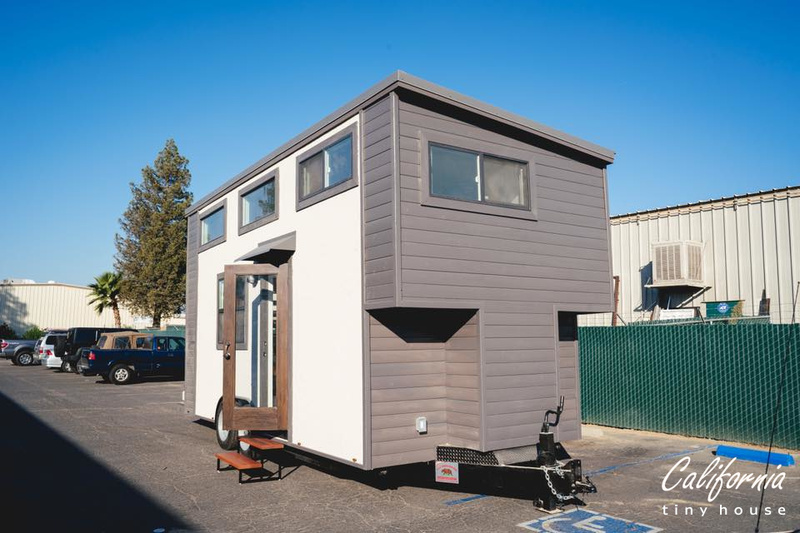 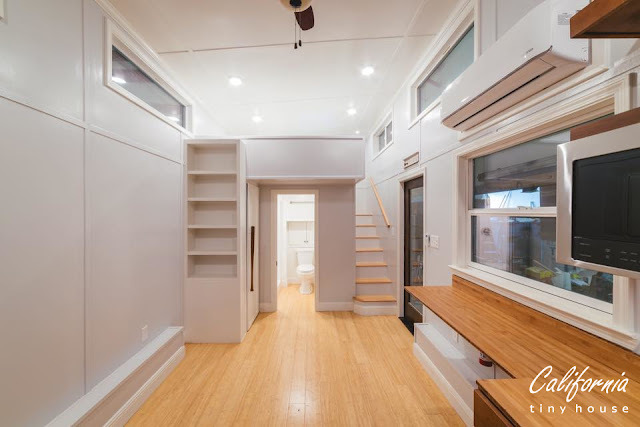 From California Tiny House is this bright, modern tiny house on wheels with a unique sentimental touch. This home was custom designed and built for a client who requested a family heirloom be incorporated into the home: her great-grandmother's baseball bat. According to the company's Facebook page, the client's great-grandmother played on the US's first women's league with that bat which California Tiny House used as a handle for the home's laundry facilities. Not only is it a great way to turn the bat into something useful, but its position also allows the bat to be displayed visibly! 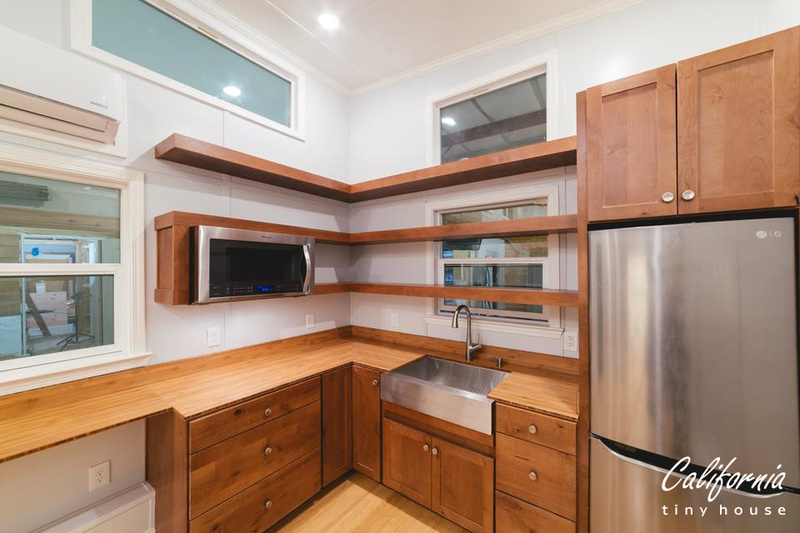 The home also holds a carefully planned and relatively spacious kitchen. 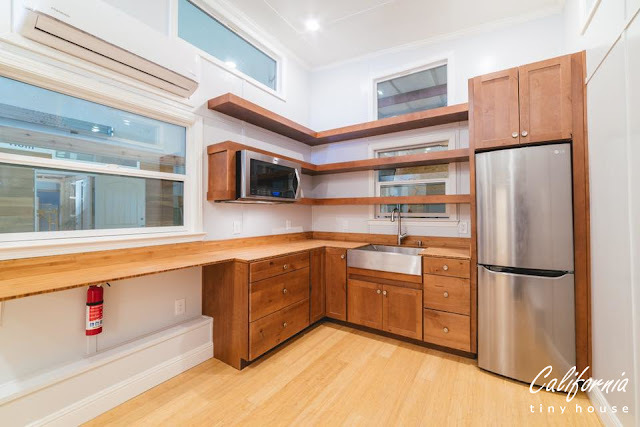 There are Norcroft cabinets, bamboo countertops, a stored induction cooktop, and space for dining and/or working! 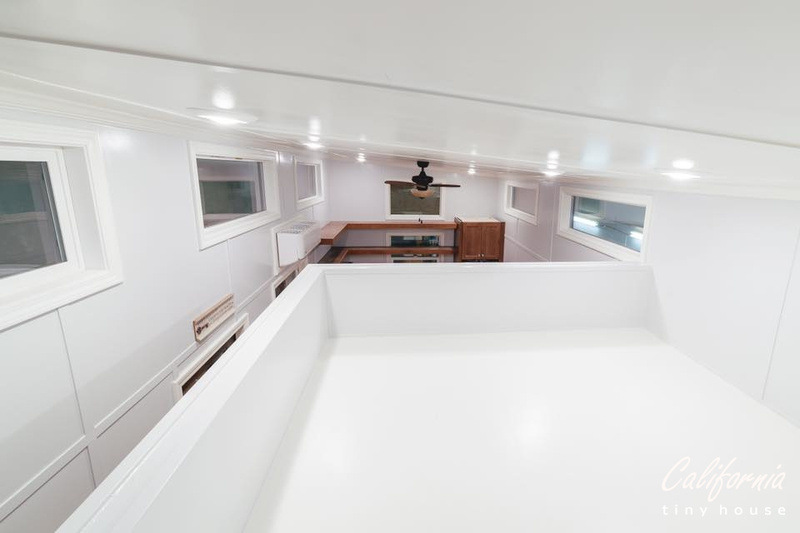 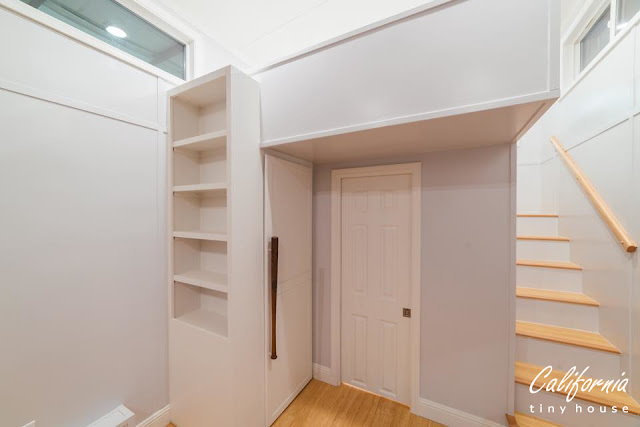 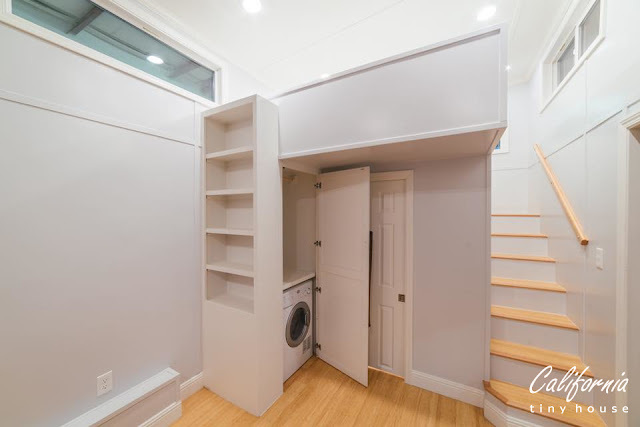 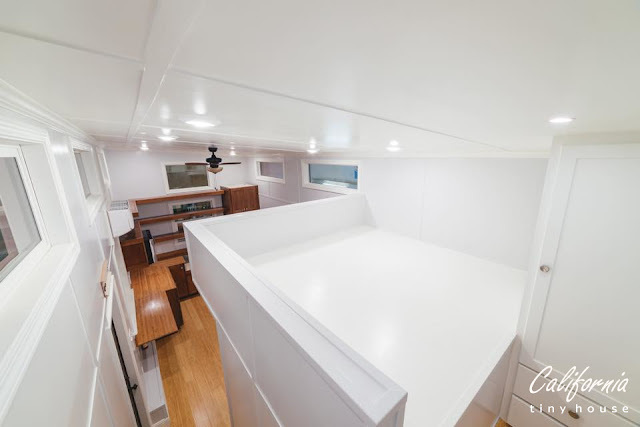 Also included in the house is a roomy living space with a built-in bookshelf, a queens-sized loft, and a bathroom with a 4' x 4' shower and plenty of storage. 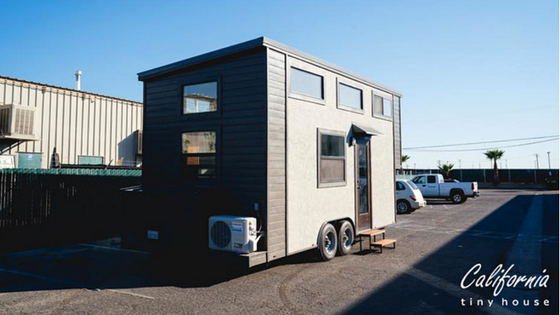 In total, the home measures 10' x 20', and weighs around 14,000 lbs. 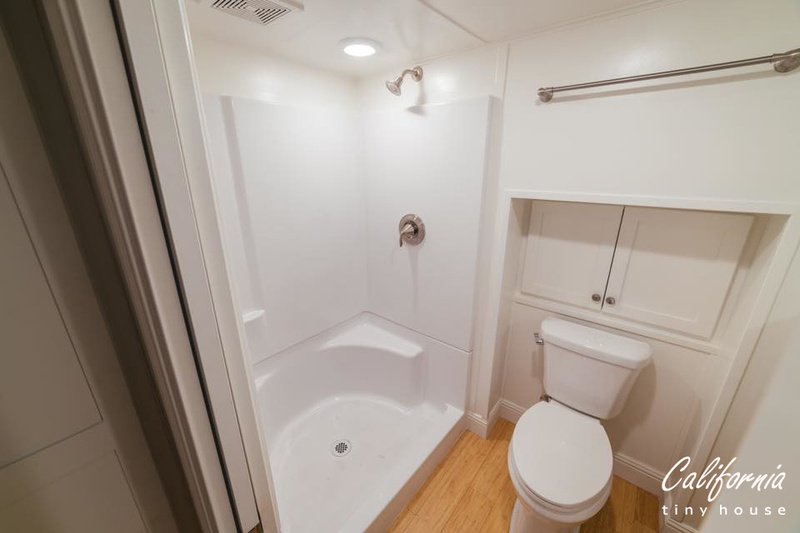 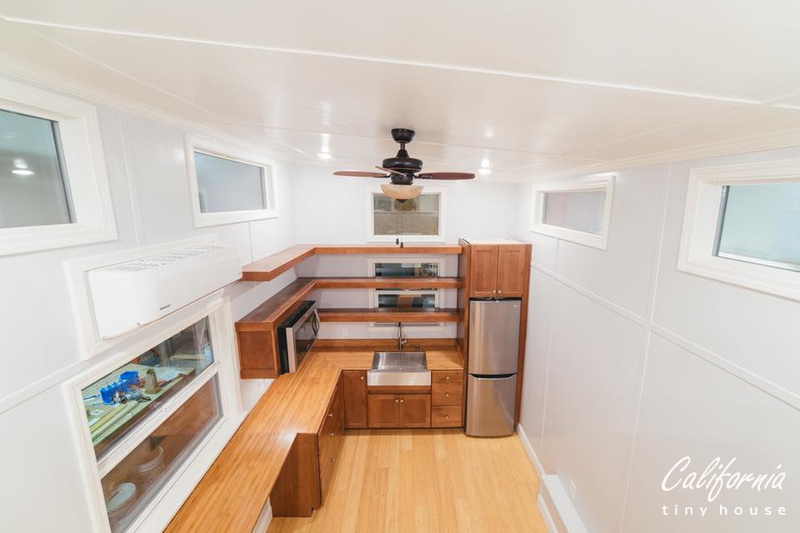 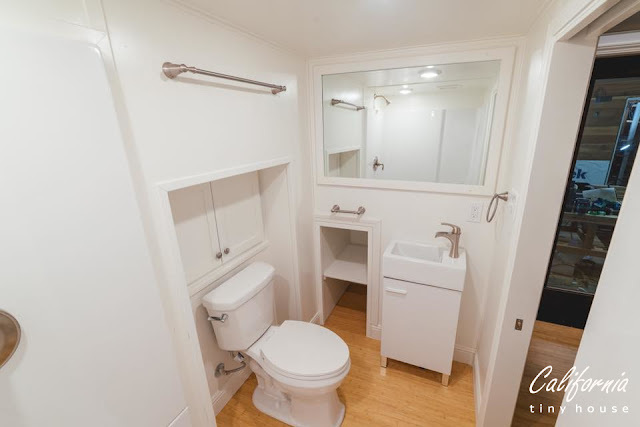 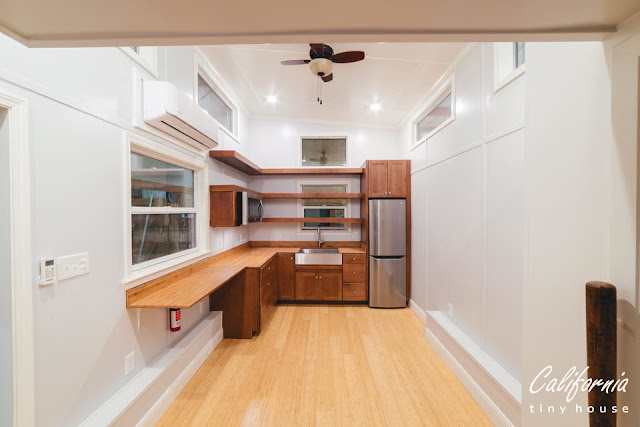 For more information and/or inquiries on this home or the builder, contact California Tiny House here!